ROYAL OAK, Mich. – Detroit Zoo attendance has exceeded one million for the seventh consecutive year with 1,272,574 visitors in 2012, up from 1,217,200 in 2011. Attendance for the Belle Isle Nature Zoo was 37,746. The mild spring weather and a spate of babies born in the spring and summer – including North American river otters, a Bactrian camel and red kangaroos – contributed to the Detroit Zoo’s robust numbers. In addition, orphaned grizzly bear cubs Mike, Thor and Boo – rescued in December 2011 from Alaska – made their debut in the spring, drawing significant crowds. The Zoo’s newest crowd-pleaser is the Boardwalk at the Cotton Family Wetlands, a 2-acre Michigan ecosystem teeming with native fish, frogs, turtles and birds. The popular immersive experience opened in July. In late spring of 2013, a new animal habitat will give Detroit Zoo visitors up-close, underwater views of a pair of North American beavers. Named for the benefactors whose philanthropic support is making it possible, the Jane and Frank Warchol Beaver Habitat is under construction across from the Edward Mardigian Sr. River Otter Habitat on the northern edge of the Wetlands. 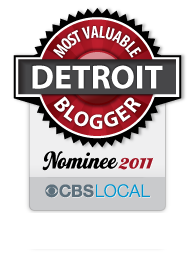 The Detroit Zoological Society is a nonprofit organization that operates the Detroit Zoo and Belle Isle Nature Zoo. 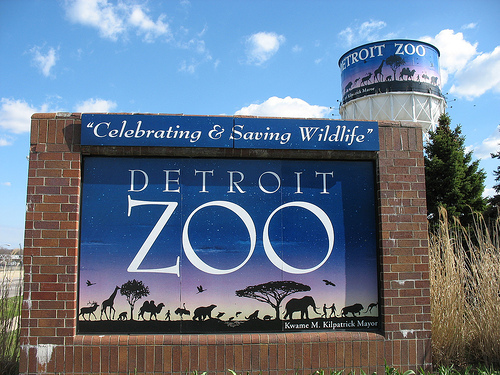 Situated on 125 acres of naturalistic habitats, the Detroit Zoo is located at the intersection of 10 Mile Road and Woodward Avenue, just off I-696, in Royal Oak, Mich. The Detroit Zoo is open 362 days a year, 10 a.m. to 4 p.m. November through March, 9 a.m. to 5 p.m. April through Labor Day and 10 a.m. to 5 p.m. the day after Labor Day through October. Admission is $14 for adults 15 to 61, $12 for senior citizens 62 and older, and $9 for children 2 to 14 (children under 2 are free). The Belle Isle Nature Zoo is open Wednesday through Sunday 10 a.m. to 4 p.m. November through March and 10 a.m. to 5 p.m. April through October; closed Mondays and Tuesdays. Admission is free. For more information, call (248) 541-5717 or visit www.detroitzoo.org. This entry was posted in Detroit, Things To Do and tagged animals, attendance, detroit, detroit zoo, membership, Michigan, Oakland County, vitamin z, zoo. Bookmark the permalink.